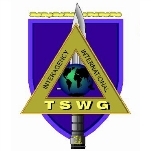 The Technical Support Working Group (TSWG) is a low-profile multi-federal-agency program with a highly important mission. Working with a vast array of U.S. government departments and agencies, the TSWG helps to rapidly develop the latest in technological solutions to combat terrorism. “Rapid” is a key word in TSWG’s mission, as it is expected to fund projects that can be ready for use by law enforcement, military, and other government personnel in two years or less from time of first approval. On October 23, 1983, a large delivery truck drove to the Beirut International Airport in Lebanon where hundreds of U.S. Marines were stationed as part of an international peacekeeping force sent to help stop the ongoing civil war. The truck crashed through a barbed-wire fence and gate and slammed into the lobby of the multistory building serving as barracks for the Marines. The truck exploded with the equivalent of 12,000 pounds of TNT, crumbling the four-story building and killing 220 Marines and 21 other U.S. service members. A year earlier, the administration of President Ronald Reagan had adopted National Security Decision Directive 30 (NSDD 30) in response to growing concerns over terrorist threats. NSDD 30 crafted a new policy for how the federal government should respond to terrorism that resulted in the establishment of the Interdepartmental Group on Terrorism (IG/T), chaired by the State Department. Following the truck bombing in Lebanon, administration officials decided that a new program was needed to help develop the latest in technological solutions to combat all forms of terrorist threats. Thus, the Technical Support Working Group (TSWG) was established as a subgroup of IG/T to help federal agencies procure cutting-edge technology. In time TSWG became a stand-alone program. From the mid-1980s until 2001, the TSWG quietly operated in the background as it funded six-figure projects to help law enforcement, military and other government personnel combat terrorism. But following the 9/11 terrorist attacks, the working group suddenly took on greater importance. Its budget increased dramatically, from approximately $8 million at one point in the 1990s to five and even ten times as much to fund research-and-development (R&D) projects. Six weeks after the 9/11 attacks, the TSWG published an announcement to private contractors seeking ideas for new antiterrorist technology. The response was unprecedented, as the working group received 12,000 submissions. Of those, about 60 were approved and funded for development. Prior to 9/11, funding for the TSWG came from the State and Defense Departments, which share in the leadership of the program. With the creation of the Department of Homeland Security, the TSWG began receiving a third source of federal dollars. Currently, its budget ranges from $50-$100 million each year. The Technical Support Working Group (TSWG) is one of three programs overseen by the Combating Terrorism Technical Support Office (CTTSO), which, itself, operates as a program office under the Assistant Secretary of Defense (ASD) for Special Operations and Low-Intensity Conflict (SO/LIC). A low-profile multi-federal-agency program with a highly important mission, TSWG works with a vast array of U.S. government departments and agencies to rapidly develop the latest in technological solutions to combat terrorism. “Rapid” is a key word in the TSWG’s mission, as it is expected to fund projects that can be ready for use by law enforcement, military and other government personnel in two years or less from time of first approval. The working group is co-managed by officials in the State Department and the Pentagon. Its Executive Steering Committee (ESC) provides oversight for the activities of the TSWG. The State Department’s Coordinator for Counterterrorism maintains policy oversight and provides the chair for the ESC. The Assistant Secretary of Defense for Special Operations and Low-Intensity Conflict (SOLIC) is responsible for managing the work of the TSWG. SOLIC provides a technical chair for the steering committee, and other federal departments and agencies provide technical chairs for subgroups. The TSWG breaks down its work into nine subgroups, each responsible for different subject areas: Chemical, Biological, Radiological, and Nuclear Countermeasures; Explosives Detection; Improvised Device Defeat; Investigative Support & Forensics; Physical Security; Surveillance, Collection, and Operations Support; Tactical Operations Support; Training Technology Development; and Personnel Protection. Each subgroup is chaired or co-chaired by representatives from various federal agencies, such as the FBI, the intelligence community, Bureau of Alcohol, Tobacco, Firearms and Explosives, and the U.S. Secret Service. The kinds of projects that are approved range from chemical and biological defense to air-defenses for civilian aircraft to new types of body and vehicular armor to large-scale infrastructure protection. Of all projects the TSWG has funded, about two-thirds have gone on to be used by government departments and agencies, including Defense, Justice, State, and Treasury (Secret Service, Customs and the Bureau of Alcohol, Tobacco, Firearms and Explosives); the Intelligence Community; Federal Aviation Administration; and the Public Health Service. A top priority of the working group has been the funding of projects that will address the threat of improvised explosive devices (IEDs), which was the deadliest problem in Iraq for American soldiers. The TSWG was reportedly prepared to spend upward of $100 million for new technology that will reduce the risk of IEDs on U.S. military forces. Some examples of working group “success stories” include development of new bomb squad equipment. One was a disrupter used to break apart bombs; another was an X-ray device for looking inside packages to review its contents for explosives (the military also is using this). Another TSWG contribution was new special suits to protect bomb squads from not only explosives but also chemical and biological agents. Other examples of TSWG projects can be found in the transcript of a press briefing that the working group held in 2001. As a result of a Senate initiative for joint counterterrorism R&D efforts, the TSWG conducts joint projects with NATO and non-NATO allies, such as Israel. One project for Israel involved development of fingerprint recovery techniques that allowed Israeli investigators to recover prints off of evidence left at a scene. In one case the technology identified an assassin, and in another case identified an individual who had stolen materials that were going to be used in an attack on civil aviation. The attack was prevented. Contractors that perform work for the working group range from private defense companies to universities to government laboratories. Contracts can vary in cost from $20,000 to $10 million, although most fall in the six-figure range. In some cases, a project approved by the TSWG for a relatively modest sum can lead to much bigger money once it is purchased by other agencies. One example is the Chemical Biological Response Aide, or CoBRA, a rugged laptop with wireless communication, a digital camera and a scanner that can be used to collect and disseminate information at disaster scenes. One convenient feature is that it can be decontaminated by running it through a dishwasher. The TSWG subsidized development of the CoBRA with a $600,000 grant in 1998, and the manufacturer, Defense Group Inc. of Alexandria, Virginia, later signed a $14 million contract to supply them to FBI bomb squads. Companies can also earn multi-year contracts that add up to substantial earnings. Since 2002 iRobot Corp. has received more than $8 million in development contracts from TSWG to develop a number of next-generation robot technologies. In July 2012, the firm was awarded an additional $1.6 million in funding to develop, train, and field test the iRobot Warrior. In the case of Technology Service Corporation, the company was awarded a single $10 million contract to provide a Secure Perimeter Awareness Network that will allow airport security personnel to better monitor for unauthorized intruders. GE Ion Track, $731,000, to develop cartridges that can extract and concentrate chemical warfare agents and other classes of toxic substances from bulk water samples. Sentigen Holding Corporation, $1,645,209, to develop advanced biotechnology tools for the development of a free-standing sensor for the detection of explosives. Vanguard Protective Technologies, $190,000, to develop a breach control barrier system to preclude intruders from entering into restricted areas. Dynamics Technology, Inc, $3,773,015, for development, design, building, test and evaluation of an Associated Particle Imaging System to remotely detect explosives concealed in cars and trucks. Atlas Researches, Ltd. (Israel), $744,528, for the development of a polygraphy chair and associated software. Mississippi State University, $539,855, to develop a Long Wavelength Infrared Spectral Imaging System. Quantum Magnetics, $1.8 million, to develop an Incident Command and Control System that will solve the problem of locating, tracking, monitoring, and communicating with emergency responders in structures. International Association of Fire Fighters (IAFF), $775,922, to develop next generation fire fighting protective equipment that will include chemical and biological agent protection. SAIC, $800,989, to develop an Advanced Radioisotope Identifier System (ARIS), a compact, hand-held detection and analysis instrument for use by border security, HAZMAT, law enforcement, bomb squads, and other emergency response personnel to identify hazardous radiological materials. SAIC, $2,360,194, to develop a prototype dual high-energy X-ray transmission imaging system capable of detecting high atomic number materials, such as uranium or lead, concealed in fully loaded containers, freight vehicles, and tanker trucks. University of Minnesota, $520,992, to test particulate material collected on air filters from existing air filter systems and evaluate different methods of analyzing the material collected. Esensors, Inc., $610,000, to develop a battery-operated environmental monitoring system with eight interchangeable sensors that will allow the real-time monitoring of chemical concentrations and physical parameters during building decontamination efforts and also the monitoring of air quality under multiple conditions. Massachusetts General Hospital, $2,071,678, to produce a low cost, highly specific, integrated detection system for monitoring indoor facilities for the presence of biological toxins. Avir LLC, $1.1 million, for the development of a warning mechanism to protect building heating, ventilation, and air-conditioning (HVAC) systems from toxic industrial chemicals. Clean Earth Technologies, LLC, $795,947, to produce rugged, easy-to-use protocol booklets that will address the decontamination of a variety of urban settings including man-made and natural exterior areas. Safe Environment Engineering, Lp, $725,000, to solve the difficult problem of locating, tracking, monitoring, and communicating with emergency responders in structures. Techno-Sciences, Inc., $308,574, to help develop an Emergency Responder Tracking and Monitoring System. ChemImage, $682,976, to develop an imager that will be used for non-destructive analysis and identification of evidence in counterterrorism investigations including documents, ink, fibers, hair, cloth, stains, drugs, explosives, fingerprints, thin layer chromatography plates and surfaces contaminated with chemical or biological agents. AristaTek, $205,000, to develop a user-friendly emergency response tool that provides guidance and recommendations for the proper personal protective equipment (PPE) when entering chemically contaminated environments. Nanosphere, Inc., $2,500,000, to develop field-deployable detection technology for the identification of biological toxins. Isotron Corporation, $350,000, for the development of a material to rapidly and efficiently remove radioactive surface contaminants to quickly mitigate the effects of a radiological release and to facilitate subsequent restoration and decontamination efforts. West Virginia University, $370,000, for the development of a forensic method to determine the specimen age of deposited biological evidence. North Carolina State University, $830,000, to develop fire fighting gear that protects against chemical and biological agents, improves flexibility and durability, increases the service life of the gear and reduces the weight, heat stress, and costs associated with currently available protective gear. Pulmatrix, $1.8 million, for early stage iCALM development as a countermeasure agent to prevent the spread of respiratory infection among human and livestock populations. Air Force Research Lab, $600,000, to develop new technology that will allow investigators to analyze cockpit voice-recorders more rapidly, extract more data and better synchronize information when resolving difficult investigations of transportation incidents. Adayana, $20 million, to provide training research and development support. System Planning Corporation, $6.2 million, for support services for Critical Incident Response Technology Seminars (CIRTS). Should facial recognition technology be used in public places? The Technical Support Working Group (TSWG) has been a big part of the Pentagon’s Combating Terrorism Technology Support Program. Part of this work has involved research, development and prototyping of ways to detect, identify and spy on terrorists. Specifically, this has meant the development of biometric facial recognition equipment, which would allow the government and law enforcement to spot specific individuals within a crowd of people. But the use of facial recognition technology, such as at Super Bowl XXXV in Tampa, Florida, has spurred public debate about its effectiveness, as well as broader policy and philosophical concerns. Supporters of facial recognition technology include the Federal Bureau of Investigation (FBI) and other U.S. law enforcement agencies. They want the capability to track suspects, quickly single out dangerous people in a crowd or match low-resolution security-camera images against a vast database to look for matches. The National Sheriffs’ Association has favored the technology for operating prisons. They say this capability prevents the accidental release of prisoners who slip out of jails by exchanging identities with other inmates. The state of Georgia has used facial-recognition technology for eight years, supporters point out. Supporters also want to keep regulation of the technology to a minimum in order to prevent the stifling of new advances. Opponents include civil libertarians who say society is not yet ready for such a technology. They fear it is advancing too quickly and becoming available before policymakers can develop appropriate regulations for the technology’s use. Also, critics say the FBI might abuse facial recognition technology and infringe upon Americans’ Fourth Amendment protections against unreasonable search and seizure. Michael D. Lumpkin was sworn in as the Principal Deputy Assistant Secretary of Defense for Special Operations/Low-Intensity Conflict (SO/LIC) on April 25, 2011. In this job, Lumpkin assists the Assistant Secretary of Defense (SO/LIC) in developing policy regarding special operations forces, strategic forces and conventional forces. It also puts him in the position of leader of the multi-department Technical Support Working Group. Born in 1964 in Oceanside, California, Lumpkin grew up in nearby Vista, California, and graduated from the University of California, San Diego (UCSD) in 1986. In 1995, Lumpkin also earned a Master’s Degree in National Security Affairs from the Naval Postgraduate School in Monterey, California. His thesis consisted of a data analysis of numerous incidents of violence at sea between 1975 and 1995. Upon graduating from UCSD in 1986, Lumpkin joined the U.S. Navy and served as a Navy SEAL for the next 21 years, until 2007. The Department of Defense recognizes him as a specialist in both the Western Hemisphere and Special Operations/Low Intensity Conflict. As a Navy SEAL, Lumpkin served eight operational tours and one as Commanding Officer of a Team, participating in numerous counter-insurgency and counter-narcotics operations around the world, including in Iraq, Afghanistan, the Horn of Africa, the Philippines, and Central and South America. He also served as Commanding Officer of the Naval Small Craft Instructional and Technical Training School, which trained foreign nationals in riverine and maritime operations. Immediately after the September 11, 2001, attacks, he was assigned as Officer in Charge of the training and readiness of all West Coast SEAL Teams. Lumpkin served as the Deputy Commander, Joint Special Operations Task Force-Arabian Peninsula, for the 2003 invasion of Iraq. In 2004, he served as the Deputy Commander of all Special Operations in Iraq, where he supervised the daily operations of more than 2,000 Special Operators working in more than 40 locations throughout the country. While in Iraq, he also oversaw the operations of 6 High Value Target interrogation facilities. His final military assignment was to lobby Congress on policy and funding issues relating to Special Forces. Lumpkin retired from the Navy in 2007 and, like quite a few returning veterans, decided to run for Congress as a Democrat in California’s strongly Republican 52nd Congressional District in San Diego. Running on a platform of ending the war in Iraq quickly and abolishing most earmarks, Lumpkin won the April 2008 Democratic primary with 52% of the votes. He then tried to pitch himself as a non-liberal Democrat, telling the San Diego Union-Tribune, “I begin and end my days with horse feed and a shovel in my hands. Most of us gun-owning, four-wheel-driving, outdoor desert types don't relate much with coastal elitism. However, spending a lifetime in the water as part of an elite fighting team like the SEALS might qualify.” Nonetheless, he lost the general election 56% to 39% to Republican Duncan D. Hunter, whose father, Duncan L. Hunter, represented the area in Congress for 29 years. After losing the election, Lumpkin took a job as Director of Business Development for Aardvark Tactical, Inc., a mid-size defense firm located in La Verne, California, that specializes in riot control equipment. 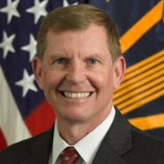 After two years at Aardvark, Lumpkin returned to public service, serving as both Senior Advisor to the Secretary and Deputy Chief of Staff for Operations at the Department of Veterans Affairs (VA). Lumpkin and his wife, Jill, Have a son and two granddaughters. 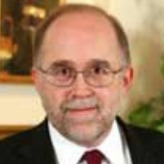 A member of the Senior Foreign Service, Ronald Lewis Schlicher serves as the Principal Deputy Assistant Coordinator of Counterterrorism in the State Department, a position he assumed on September 2, 2008. The following year he joined the Foreign Service. His first assignment was as vice-consul in Dhahran, Saudi Arabia (1982-1984), followed by a stint in Syria as consul (1984-1986). He returned to the states to serve as staff assistant in the Bureau of Near Eastern Affairs (NEA) to Assistant Secretary Richard Murphy. From 1987-1989, he held the post of deputy principal officer in Alexandria, Egypt. He remained in Egypt, but then moved to the embassy in Cairo, serving as first secretary specializing in internal Egyptian politics and Islamic movements (1989-1991). In 1991-1992, he was chief civilian observer in the Multinational Force and Observers, the organization that monitors the security provisions of the Israeli-Egyptian peace treaty. Returning to the State Department in Washington, Schlicher served from 1992-1994 as a Deputy Director for Regional Affairs in the Office of the Coordinator for Counter-Terrorism. From 1994-1997, he served as deputy chief of mission in Beirut, Lebanon. For the next three years, until 2000, Schlicher was the director of the Office of Egyptian and North African Affairs in the NEA. From 2000-2002, he served as chief of mission and consul-general in Jerusalem, Israel, where he was the Bush administration’s principal contact with Yasir Arafat and the Palestinian Authority. During the 2003 invasion of Iraq, Schlicher was director of the Iraq Task Force. He then served for six months in Iraq with the Coalition Provisional Authority (CPA), first as Regional Coordinator for the North and then as director of the Office of Provincial Outreach. While in Iraq, he lobbied against the Bush administration’s policy of excluding Sunnis from positions of power. He was then made Deputy Assistant Secretary of State in the NEA, where he served as Coordinator for Iraq. In 2005, Schlicher provided a deposition as part of a lawsuit filed by the American Civil Liberties Union against the Department of Defense to gain access to information and photographs from the Abu Ghraib prison scandal. Schlicher opposed the release of the photographs. That same year Schlicher was appointed to his first ambassadorship—to Cyprus. In 2003, it was announced that President Bush had chosen him to be ambassador to Tunisia, but he was sent to Iraq instead. He remained in Cyprus, from which he kept an eye on events in the Middle East, until September 2008. Schlicher is fluent in Arabic (several dialects) and French.